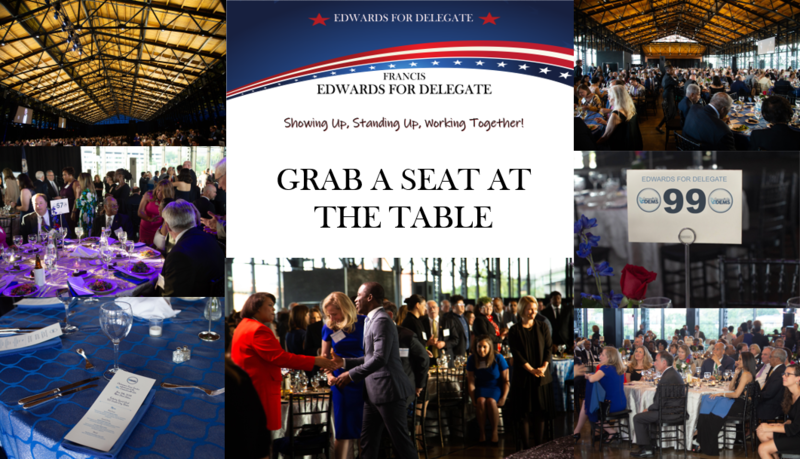 Let's show up to Virginia Democratic Party's Blue Commonwealth Gala together and Grab a Seat at The Table! You can help Francis Edwards earn name recognition, support and even campaign resources to flip the Northern Neck. All donations from this page will go directly to the Edwards for Delegate Campaign. The campaign will then organize and pay for all applicable services. If you already have a ticket no worries we can get you refunded and reassigned at our table.